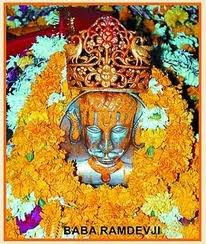 Ramdeora Fair Festival is Celebrated 19 Aug to 30 Aug 2012 Of 10 Ten Days in Ramdeora in rajasthan india. 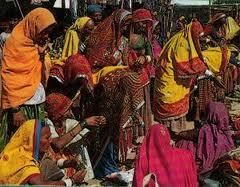 Ramdeora Fair is am integral part of the tradition of Rajasthan. It is attended by a large number of tourists from different parts of the world. 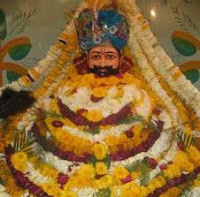 The fair holds great significance as it is a way of paying homage to Baba Ramdeo. The best part of this fair is that it appeals equally to Hindus and Muslims. The fair continues for 11 days. During these 11 days, the venue of the fair bustles with activities. Though the fair draws a large number of visitors during all the days but the last day of the fair attracts most number of tourists. 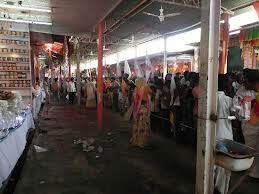 It is the important day of the fair as on that day visitors get to witness the zest and ardor of the pilgrims. The place also holds great importance for foreigners as they get to see the rich tradition and culture of the local people. There are a number of attractions in the fair. On visiting the fair, you will be able to see the dance performances by local women. They willingly take part in the performances and display their dance skill much to the astonishment of the spectators. This dance performance is known as Terahtal. 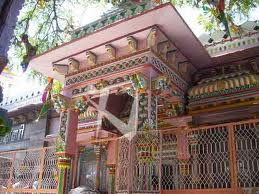 In fact, it is great place for tourists from different parts of the country. They also visit this place to get aware of the culture and tradition of Rajasthan thus making it a place where different cultures meet. 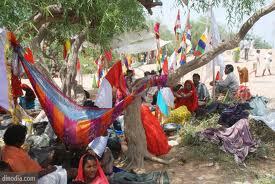 Ramdeora Fair in Rajasthan is held twice every year. 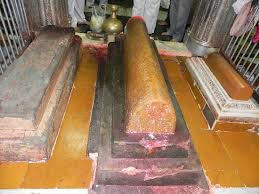 According to the Hindu calendar, it is usually scheduled during the months of Bhado and Magh. 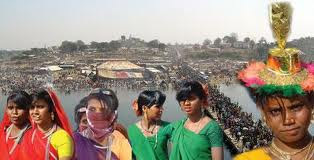 This usually falls in the months of August and February according to the English calendar.it will be a great experience for sure Ramdeora Fair will be a place which will not only be fun and frolic but also a place with great cultural significance. 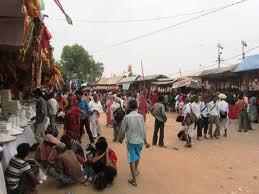 Hence, try to time your tour in accordance to the Ramdeora Fair. This will add a lot of value to your tour. 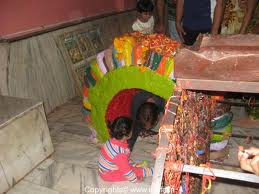 Indianholiday.com offers online information on Ramdeora Fair in Pokhran, Jaisalmer. 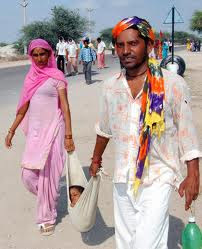 Bus : There are daily Buses from Bikaner, Jodhpur, Jaisalmer to Ramdevra (Runicha). Train : Train No. 4059 (Delhi Jaisalmer Express) from Delhi via Gurgaon, Rewari, Alwar, Jaipur, Jodhpur. Its run daily with classes 2AC, 3AC, Sleeper. Train No. 4810 (Jodhpur Jaisalmer Express ) from Jodhpur. Its run daily with classes 3AC & Sleeper.